SEAMAN JOB INFO - YIALOS MANNING SERVICES INC. Available hiring jobs to Filipino crew requirements for the month of November and December 2018 rank officer, engineer, rating join on LNG tanker vessels. - 2nd Officer at least one-year sea service exp as 2/OFF on LNG / VLCC on international gas tanker vessels. - 3rd Officer at least one-year sea service exp as 3/OFF on LNG / VLCC on international gas tanker vessels. - 4th Engineer at least one-year sea service exp as 4/ENG on LNG / VLCC on international gas tanker vessels. 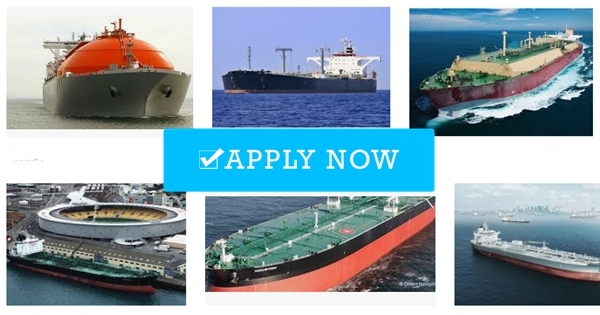 - Able Seaman at least one-year sea service exp as AB on LNG / VLCC on international gas tanker vessels. - OILER at least one-year sea service exp as OILER on LNG / VLCC vessel. - Ordinary Seman at least one-year full pledge exp as OS on international LNG / VLCC vessel. - WIPER at least one-year sea service exp as WIPER on international LNG / VLCC tanker vessels. For those applicants who are fitted for a principal matrix, you may report in YIALOS OFFICE at your convenient time. 0 Response to "2/O, 3/O, 4/E, Able Seaman, Oiler, Ordinary Seaman, Wiper For Tanker Vessels"